With no new projects before the city planning board, and the town cof Ithaca ancelling its planning meetings twice in a row (something that happens only once every couple years), the end of January is shaping up to be a slow period. But that’s not to say there’s no news at all. No details in the tweet, but I’m getting the impression that the Shen family, who own the Simeon’s building, hired Demarest as the architect for the reconstruction. If that’s the case ( it seems likely, given that the firm handled the expansion of Simeon’s resutaruant in 2009), and this is a preliminary design, then I can only express the greatest of joys that the south facade will be sympathetically rebuilt to its former charm and glory. Fingers crossed. I. A historically notable carriage house at the back of 310 W. State Street has been threatened with demolition, much to the dismay of local preservationists. If designated, demolition becomes much more difficult (an “economic hardship” clause has to be invoked and approved by the council). II. The West State corridor is a target for development under the new Ithaca Comprehensive Plan, which could potentially put the other buildings at risk in the long term. There’s been no major opposition to the proposal so far, so this is probably good for approval at their next meeting. 3. Also in the same ILPC meeting, a single-family home at 421 N. Albany Street is being considered for historic designation. The house was home to a precursor of the Alpha Phi Alpha fraternity who have sought to purchase the property and restore it as a historic fraternal landmark. 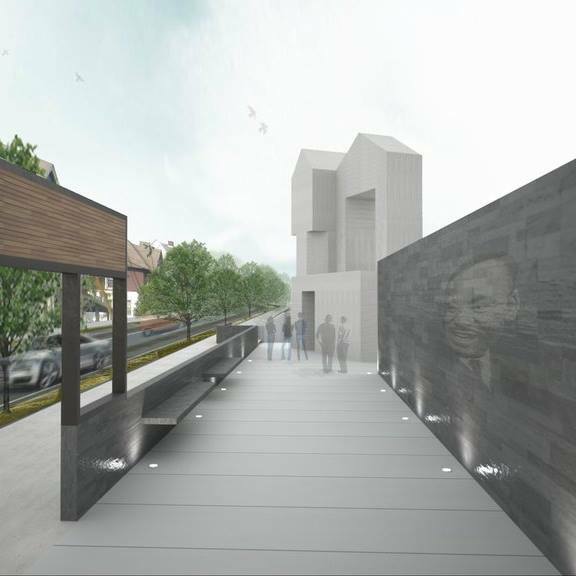 The African-American fraternity (the first fraternity of its kind) is also raising money to build a monument at 411 East State Street (shown above, zoning appeal application from last summer here). The 411 East State site is owned by Travis Hyde Properties, and the national fraternity appears to have negotiated use of that part of the property for its monument. 4. 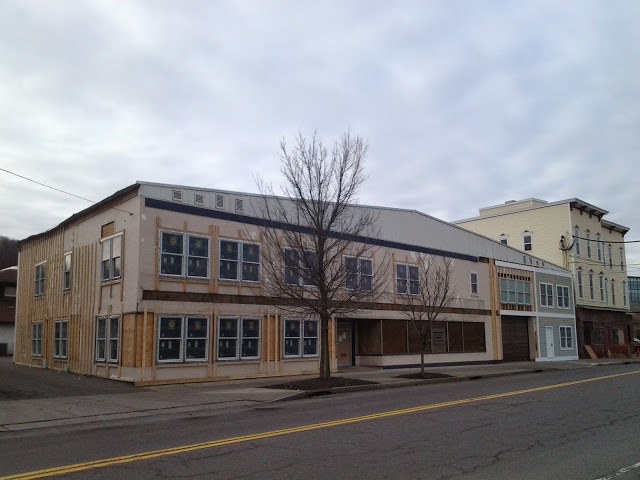 Courtesy of the Ithaca Times, we now know the renovation of the furniture store at 206 Taughannock will yield seven apartments and commercial space. The Lehigh Valley House building being renovated next door (covered by Ithaca Builds previously) will host a satellite office of the IPD on its ground floor, with six condos on the upper two floors. 206 Taughannock is being developed by Mark Zaharis, and Lehigh Valley House by Tim Ciaschi. If Ithaca has any sort of “warehouse district” like the larger cities, Inlet Island is probably the closest comparison. Traditionally, it’s been a blend of commercial and industrial uses, and low-income families whose homes were lost to the construction of the flood control channel in the mid-to-late 1960s. In recent years, with the passage of more amenable zoning and increasing interest/rising land values in Ithaca city, the island and West End have started to receive attention from developers. In the past year, the aforementioned two projects and the 21-unit 323 Taughannock have been proposed and/or started construction, and interested parties are rumored to be waiting on the sidelines, ready to propose their own projects based on the success of these pioneers. 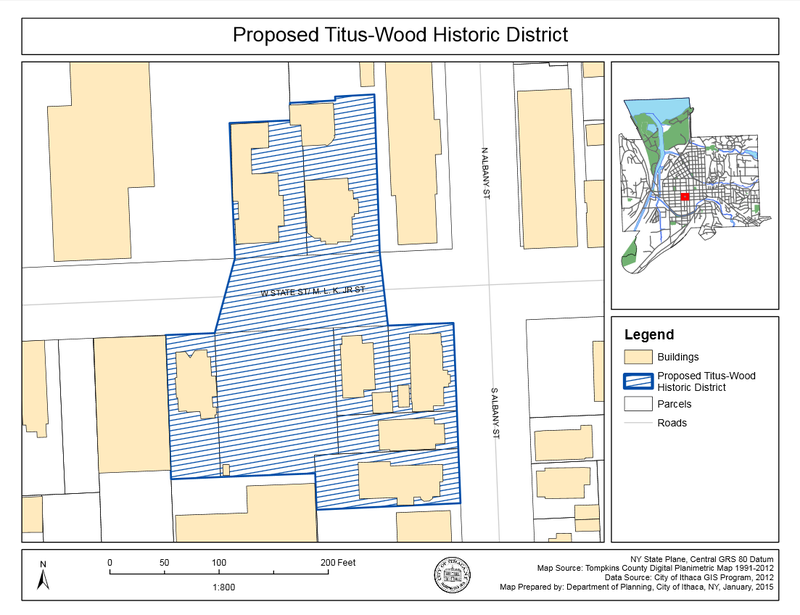 Among those interested parties are Tom[kins County and the city of Ithaca, who are busy persuading the state to sell or move out of underused properties so that they can be made available for development.The city has had a strong interest in redeveloping the island for decades. I think the potential is here for substantial development, and so far, the projects underway are doing well; it’s not remiss to suggest there will be more in the next couple years. But the idea of development is still controversial, with concerns of traffic and loss of local character. I have no doubt it will be a spirited debate. 5. The charitable trust of the Al-Huda Islamic Center has officially purchased the land that will hold the Ithaca area’s first stand-along mosque. The vacant parcel at 112 Graham Road in Lansing was purchased for $64,900 on January 29th. The special permit for a religious building was approved by the village back in August of last year. The cost of construction is expected to be in the range of $600,000, which is to be raised through donations. I have no idea how close they are to their goal, but the land purchase is auspicious. I know you have written about Boiceville cottages in the past, but in case it’s not on your radar, I would encourage you to visit them on your next visit in to town. Bruno has been busy! I don’t recall how many units he has added, but it’s a pretty significant expansion. Also, I can confirm that Jason Demarest is the architect for the Simeon’s project, and I have to agree that it looks great. I try and stop by the Boiceville site every 2 or 3 months when I go down 79. You’re right, Bruno has been busy! I’d estimate 25 units in the past year, based off of my photos. At this rate, he’ll be done with his 75-unit expansion by the end of this year. I wonder what he’ll do next? Hi! Your article in the Ithaca Voice about the historic designation for sites important to Alpha Phi Alpha Fraternity, Inc. brought me here! I have many friends that are members of the fraternity and found your article to be very well done. Thank you for a very engaging piece of work. I really enjoyed reading it! I’m all for honoring African-American history but I’m not sure about these plans. 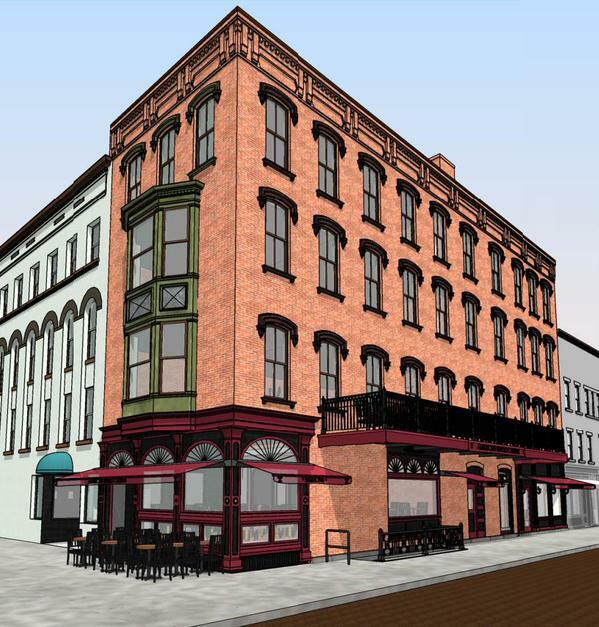 Would 421 Albany be preserved as housing if restored by the frat? I hope so; Ithaca doesn’t need more housing units taken off line (and it would be an ironic blow to social justice if that were the case). And in either case, building a monument as well seems like a bit much for a fraternity (not to mention the fact that I can hear the jokes now about a monument to a fraternity being the first thing people see on their way into Ithaca). Wouldn’t putting the money toward scholarships make more sense as a means to carry on this frat’s mission and legacy? if I remember the paperwork right, the house at 421 N. Albany hasn’t been inhabited for several years. Alpha Phi Alpha also has a monument on Cornell’s campus – it’s across the plaza from Willard Straight.